One of the most challenging moments for most students is when they are asked to compose a literal piece pointing to a certain theme, topic or line of discussion. Writing on a topic can become a hard task for anyone – it takes patience, grit and a lot of dedication to compose it. The goal for most students is to hit the main idea in as many simple words as possible while creating quality work. There are many different types of essay. There are writings that focus solely on defending a school of thought or opposing a particular idea. These are called argumentative essays – they are similar to a debate, but written on paper. There are also compositions that tend to focus on specific people, events or phases of life and their influence on the writer. This type of work is called personal reflective essay and it can vary in a presentation based on the instructor’s specifications. A personal essay can pose its own share of challenges. Students feel somewhat lost when trying to make a choice between writing about people and writing about an event. Some feel challenged owing to the fact that they have never had such a task before. They resort to checking online for a legit essay writing service that can help them solve their issue. But we at WritingPeak can confidently tell you that writing an essay of any kind is quite feasible. We will tell you some tips you need to know to make your written work excellent. You can find a collection of personal essay examples on our site. We will examine each part in relation to personal essays as a whole. There are different personal essay topics, meaning there’s no specific template for an introductory paragraph. An introduction basically sheds more light on the particular point of discussion relating to the person, event or period in the writer’s life. Students can choose to start by writing a eulogy of the person – describing how much the specific person, event or life phase means to them. Here you can also differentiate this particular person, life phase or event from other seemingly similar counterparts. 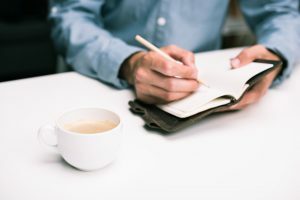 In the case of a personal reflective write-up, the aim of the introductory paragraph would be to describe various experiences that might have occurred in the writer’s life. Then the writer mentions one specific occurrence that left its mark on him. Use of paragraphs: If you have checked up a good personal reflective essay example before, for instance, you would note the use of one paragraph for one idea. This is a very good approach and simplifies reading and grading for teachers. A student should never write his ideas in one long, comprehensive text. It confuses the reader, and teachers lose interest faster in reading it. This might explain why some students write a lot yet get low grades. Punctuation marks: It is essential for those reading your written work to know where a sentence starts or ends. Punctuation is an important aspect of an essay; they are like traffic signs on a busy road. Every proper essay editing service in UK will testify to this truth. Repetition: Repeating an idea several times may work for oral speeches, but doesn’t do so well when it comes to essay writing. Students should try to avoid repetitive words. Be specific: “I feel he is the best mentor I ever had”. Writing this sentence alone might not help so much. This statement might be best seen as vague. The writer must explain the reason he takes particular stands or makes certain conclusions about the main idea in the essay. Any good beginning deserves an even better ending. The conclusion of a personal written work can have such remarks as what the writer hopes to achieve from the specific person, or event. If it was an event, you can specify how you will deal with a similar occurrence in the nearest future. The conclusion shouldn’t be too lengthy and should not stray away from the main topic of the essay. Have an idea of what to write now? It’s time to pick your pen; your beautiful grades await.